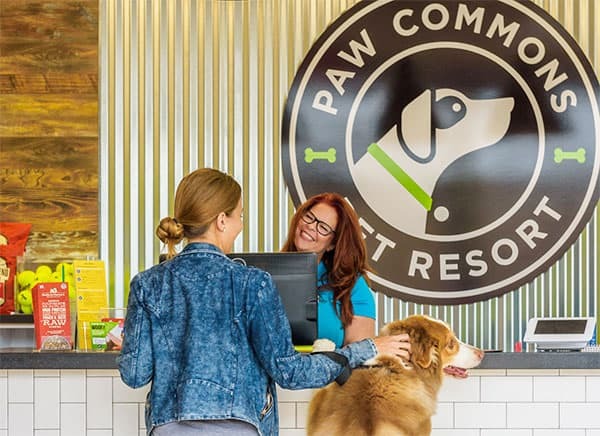 Welcome to Paw Commons, the Premier Pet Resort in San Diego with locations in Bay Park, Hillcrest and Encinitas, and Gilbert, AZ. 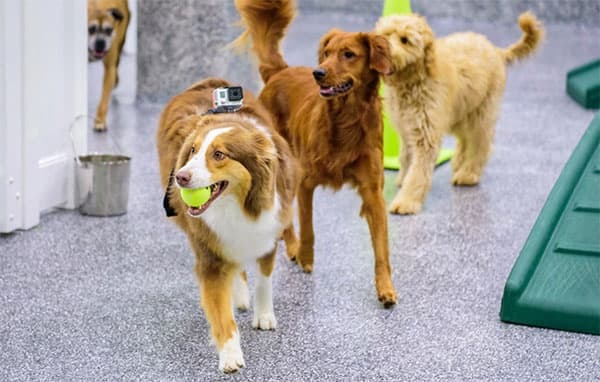 At Paw Commons, we offer Dog Boarding, Dog Daycare, Full Service Dog Grooming, Obedience Dog Training and an experienced staff to serve all your dogs needs. Our guests can take advantage of our beautifully decorated suites that include flat screen televisions, plush bedding, and web cameras for owner viewing. Stop by and tour any of our amazing locations. We invite you to come by for a guided tour of our unique, modern facility any time during business hours. We think the care, comfort, beauty and security you find here will truly make your tail wag. Every dog is unique and special at Paw Commons. We understand each guest may require different accommodations or care based on their breed, age, personality or special needs. Our team of reservation specialists are trained to help answer any question or with any request you have and will make sure your pet’s stay with us will be amazing. At Paw Commons, your dog will stay in large suites which gives them the special care they deserve. Our modern overnight facilities are generously sized and exceptional amenities which set Paw Commons apart. At Paw Commons, your pet can choose to stay in a Luxury Suite, complete with a flat screen TV or one of our Comfy Rooms. Animals are members of the family and deserve the same care and treatment away from home as they receive when they are with you. Leaving your pet can be stressful for both the pet and the owner. It is our goal to insure that your pet has the love and care it needs to make the separation a fun experience. Our staff is trained and experienced and your pet’s physical and emotional needs will be met.